All Star System Seven FGS7-OF Baseball Glove 12.5 Inch (Right Handed Throw) : Designed with the same high quality leather which made the CM3000 series catching mitts so popular, these System Seven fielding gloves have a similar personality: Fast break in and long lasting. 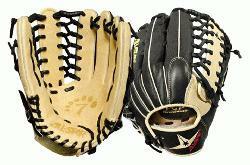 High quality selection of Japanese Maruhashi black and tan leather. By design, All Star's tan leather breaks in fast and forms a great pocket. All Star lines the back of our gloves with black leather because it is more durable and stiffer, providing support for a long lasting glove. Pro Guard Padding provides a thin layer of extra padding in the palm area of the glove which helps kill the sting of a mis-caught ball. Pro Guard Padding is thin enough to still have enough feeling, so that you know exactly where the ball is located. 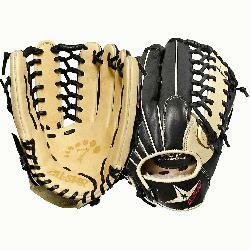 System Seven fielding gloves are designed for specific position's needs. These gloves feel like an extension of your arm, empowering you with a long enough reach, maximum control, and complete confidence.